Millions of realtors, mortgage agents, new home builders, custom home builders, dentists, insurance brokers, architects, medical specialists, and vacation resort managers are all competing to be the Big Kahunas of their markets. Some will, and from humble beginnings. The title graphic is courtesy of Inman. In the US, almost 10k agents had at least one transaction per week, or at minimum $20M in sales. Build one very strong niche – such as ecology-mindedness, tax reduction, technology, entrepreneurialism, health, local sports, business trends, job trends, education, etc — whatever subject you believe will make your agent brand stronger. Design a new MLS fed website – look at the benefits of my real estate website development services. Accelerate your leads through your sales funnel – use high quality digital content they like and need. answer key questions, build desire, and indicate fulfillment is just ahead. Build a great social media brand image — it makes you look good and builds trust! Use interesting apps such as Hyperlapse to create interesting videos to showcase your homes/condos/neighbourhoods. Building and maintaining a leadership position in your market requires professional help. How many helpers do you need? Start with one, but pick someone who is awesome. If they don’t add tremendous value, you’re wasting your money and time. 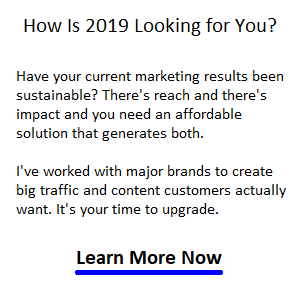 Gord Collins has been a leader in San Diego SEO, Montreal, Los Angeles SEO, San Francisco SEO, Vancouver SEO, Boston SEO, and Toronto SEO for 18 years. Your SEO strategy is in good hands.